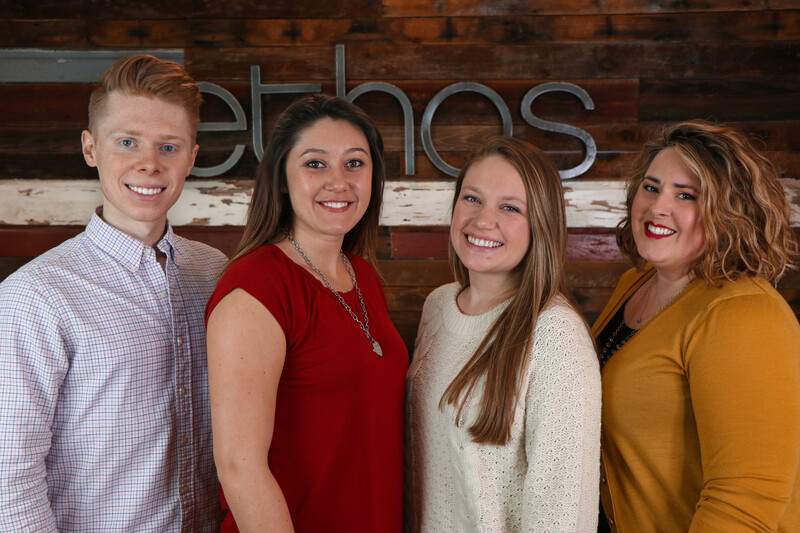 BURLINGTON, N.C., February 13, 2019	(Newswire.com) - Ethos Creative Group today announced it has doubled its in-house creative staff and enhanced its client service team with the hires of four new team members. The boutique creative agency continues to expand as clients in the travel and hospitality industry discover value in the agency’s unique approach and market expertise. Julia Alexander Poole joins Ethos as an Art Director, after owning and operating her own custom invitation business for the past eight years. Poole holds a bachelor’s degree in Advertising from Appalachian State University, as well as an associate’s degree in Graphic Design from Guilford Technical Community College. As part of the design team, she is responsible for digital design for the company’s online communications as well as designing for Ethos Creative Group’s B2B and destination clients. When she’s not helping out the Ethos team, you’re likely to find her volunteering in the community. Megan Jacobs brings her education in Communications and Journalism from the University of North Carolina at Chapel Hill to the Ethos team as an Editorial Assistant. As the newest member of the editorial team, Jacobs is able to use her talents as a writer, while also helping to manage projects. In addition to editorial project management, Jacobs is responsible for copywriting and media relations. From writing to reading to dancing, she’s always putting her creativity to work in and outside of the office. Zach Eller is a recent Graphic Design graduate from Liberty University and joins the Ethos team as an Associate Art Director. With a background in video production as well as design, Eller brings his creative talents as a contributor to both the design and video teams. When Eller’s not in the office he likes to practice photography and video while staying active by snowboarding and working out. Bailey Profitt joins Ethos as an Administrative Assistant. She is a double major in Accounting and Finance at the University of North Carolina at Greensboro and assists with office management, project management, budgeting and invoicing to ensure client projects run smoothly and accounts are kept up-to-date. Profitt’s hobbies include traveling and exploring the outdoors. Ethos Creative Group is a boutique agency that offers premium creative services for select clients in hospitality, travel and tourism. Ethos is well-suited for marketers who require custom creative work that displays thought leadership and a high-end design aesthetic. Ethos has won a number of prestigious competitions for branded content such as the Apex Awards for Publication Excellence, the Pearl Awards and the Communicator Awards. Ethos thinks strategically to help build brands, communicate objectives and enhance organizational reputations. Ethos is proud to be a woman-owned and minority-owned business. For more information on Ethos Creative Group, visit www.ethoscreate.com. Please contact Megan Jacobs at +1 336-506-7679 or megan.jacobs@ethoscreate.com for high-resolution imagery, more information about Ethos Creative Group, or to arrange an interview with company leadership. Company leaders are available to comment on custom publishing, content and design, and branding creative, as they relate to the hospitality, travel and tourism industries. Ethos Creative Group is a boutique agency that offers premium creative services for select clients in hospitality, travel and tourism.